Review: Green Lantern – Geek Girls Rule!!! 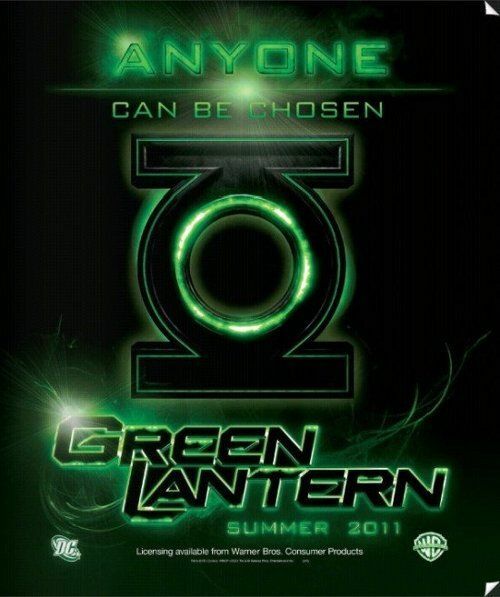 Green Lantern, could have been better. While Green Lantern offers some entertainment value, it also manages to frequently miss the mark. Ryan Reynolds is a credible Hal Jordan, but the writers should surrender their WGA cards. Irresponsible test pilot Hal Jordan (Ryan Reynolds) is chosen by the power ring of dying alien Abin Sur (Temeura Morrison) to become Sur’s successor as the Green Lantern defending Earth’s sector of the universe. Transported to the planet Oa to train with veteran Green Lanterns Sinestro (Mark Strong), Kilowog (voice of Michael Clarke Duncan), and Tomar-Re (voice of Geoffrey Rush), Jordan initially struggles with his new responsibilities, but he has a chance to prove his mettle against villains Hector Hammond (Peter Sarsgaard) and Parallax (voice of Clancy Brown). Director Martin Campbell (GoldenEye, Casino Royale) certainly knows how to deliver exciting action sequences, and when he’s allowed to here, they’re some of the strongest aspects of the production. Though one senses he’s perhaps more comfortable with old school stuntwork over CG animation as his medium for creating action scenes. Casino Royale was a sleek, high octane action film that got inside the head of its neophyte hero, James Bond. I had hoped Campbell would bring those same qualities to this film, but unfortunately he didn’t bring that film’s writers with him, and his efforts can’t overcome that. The screenplay by Greg Berlanti (co-creator of television’s No Ordinary Family and Eli Stone), Marc Guggenheim (co-creator of Eli Stone and a former CSI: Miami staff writer), Michael Green (a former staff writer on Smallville and Heroes), and Michael Goldenberg (Contact, Harry Potter and the Order of the Phoenix) is the film’s most obvious weakness. Rather than focusing on what makes Green Lantern unique, the writers instead chose to ground him in a mire of uninspired mundanity. The screenplay relies to a great extent on two dimensional characters, a too predictable by far story, dime a dozen twists, and an inability to balance several plot elements. The Hector Hammond sub-plot, for example, takes away from time that could have been better spent exploring Hal Jordan as a character, his training on Oa, or the Green Lantern Corps. Every time there’s forward momentum with the main storyline, the Hammond sub-plot pops up like a determined jack-in-the-box to grind things to a halt. There simply isn’t enough of Hal Jordan learning to be a hero or the Green Lantern Corps itself, while the final battle with Parallax is over far too quickly and victory achieved far too easily. I’ll give the writers one thing, though. They handled the whole mask concealing a superhero’s real identity concept with a fun tweak. What one can’t complain about are the polished contributions of cinematographer Dion Beebe (Chicago, Memoirs of a Geisha), production designer Grant Major (The Lord of the Rings, King Kong), and costume designer Ngila Dickson (The Lord of the Rings, The Illusionist), although the best of Major’s designs, Oa, doesn’t get the screen time it deserves. The score by James Newton Howard (co-composer for Batman Begins and The Dark Knight) is filled with surprisingly predictable cues. The visual effects are generally good, but the CG also adds an artificial sheen to the film. As amazing as Oa looks, one is always aware that it’s a CG construct. One wants it to feel more tangible, like a real place one could visit. Although I had misgivings about Ryan Reynolds when he was first cast, he makes a credible Hal Jordan. From cocky test pilot to rookie superhero, Reynolds delivers. There were several times when I thought to myself, “that’s really Hal up there”. I didn’t find the idea of Hal having to learn to manage his fear to be believable, but that’s a writing problem and not a Reynolds problem. Would someone who can’t manage their own fear even be a test pilot in the first place, let alone one known for taking risks? It just seems to be a conventional character arc assigned to Hal, and one which doesn’t suit him. Blake Lively is an uninspired Carol Ferris, Jordan’s love interest and boss. It doesn’t help that she and Reynolds have no apparent chemistry. Peter Sarsgaard’s Hector Hammond can be summed up in one word: terrible. He starts out bland, but the more villainous Hammond becomes, the campier Sarsgaard gets. Angela Bassett and Tim Robbins are wasted as Amanda Waller and Senator Hammond. On the plus side, Temeura Morrison and Mark Strong make good impressions as Abin Sur and Sinestro, the voices of Michael Clarke Duncan, Geoffrey Rush, and Clancy Brown are put to good use as two Green Lanterns and Parallax, and I liked Taika Waititi as Hal’s friend Tom Kalmaku. Yet more examples of how the film’s best assets are underused. Some high flying action and a convincing lead performance by Ryan Reynolds aren’t nearly enough to overcome the film’s shortcomings, most of which can be traced back to the writers. It’s not a terrible film by any means, but it’s also not a very good one. There’s just so much missed potential here, considering the rich mythology of the Green Lantern Corps. Although there’s some entertainment to be had, it’s not enough to justify the price of a cinema ticket. Wait for home video or on demand. When and if you do see it, be warned that there’s an additional scene during the end credits which sets up a potential sequel. Well, that and this Green Lantern wasn’t black. I say that last bit partly in jest but also with a hardy amount of truth, because I believe that the Green Lantern most people remember is Jon Stewart, from the Justice League cartoon series. I’ve had parents tell me their kids were confused as to why the GL of this movie wasn’t black. I guess it depends on one’s age. I’m in my early 40s, so Hal Jordan is Green Lantern to me. Next Post Geek Girls Rule: A quick note.